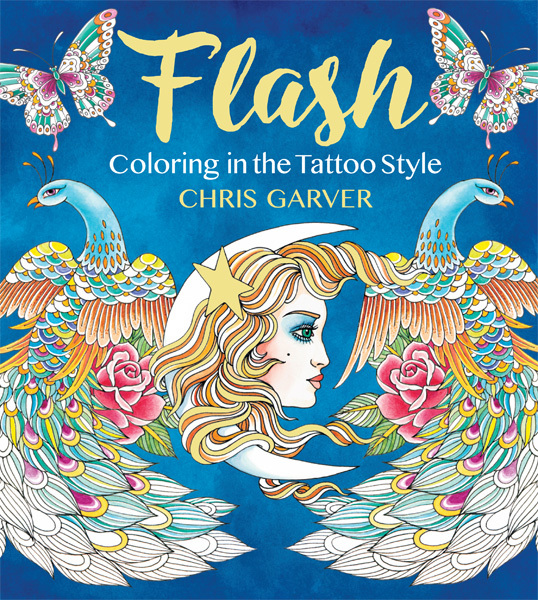 In this follow-up to the wildly successful Color Odyssey, Chris Garver presents Flash, a coloring book based on his popular tattoo art. As an in-demand tattoo artist and celebrity in the tattoo world, Chris is a perfect choice to bring together tattoo art and adult coloring. His illustrations for Flash perfectly showcase the detailed tattoo art that he is so well known for. And with Chris distinct illustration style and images printed on single-sided pages, this book is sure to attract traditional coloring fans as well. Flash also provides many great ideas for anyone who is considering getting a new tattoo while also giving them the opportunity to play with color choices before making a commitment. Appealing to both men and women, Flash is a gorgeously illustrated coloring book with wide crossover potential.